The Spinal Cord Injury Research Center of Mount Sinai has a primary focus on conducting research addressing the challenges of traumatic spinal cord injury, or SCI. Our focus is broad and ranges from translational stem cell research to advanced technologies and robotics to facilitate walking to developing tools to facilitate integration into the community such as developing different methods of home evaluations using advanced technology. We are one of 14 centers nationwide who are Model Systems for Spinal Cord Injury. As part of the Model Systems project funded by the National Institute on Disability, Independent Living, and Rehabilitation Research (NIDILRR), we are looking at treatments for low blood pressure after SCI in partnership with investigators from the Spinal Cord Damage Research Center at the James J. Peters V.A.M.C. as well as contributing to the world’s largest and longest existing SCI research database, the National Spinal Cord Injury Database. Information from this database has had significant impact on the care of persons with SCI since its inception. 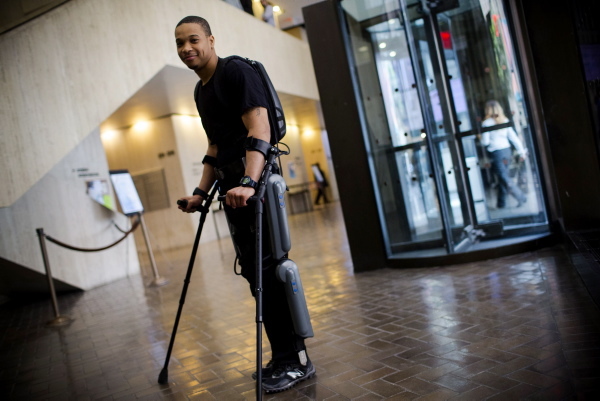 A very exciting area of research has focused on testing the usability of robotic powered exoskeletons in allowing persons with all level of SCI to walk. We have demonstrated that the devices are usable by persons with higher level of cervical injury for the first time.